Why would I need self storage in Lancaster, NY? There are a variety of reasons why you might need self-storage in Lancaster, NY. How much is a storage unit in Lancaster, NY? The cheapest storage unit in Lancaster, NY is $48.00 per month. What size storage units do you have available in Lancaster, NY? In Lancaster, NY we have sizes that range from 5'x10' to 20'x20' to suit your storage needs. How much is it for a 5'x10' storage unit in Lancaster, NY? The cheapest 5'x10' storage unit in Lancaster, NY is $48.00 per month. 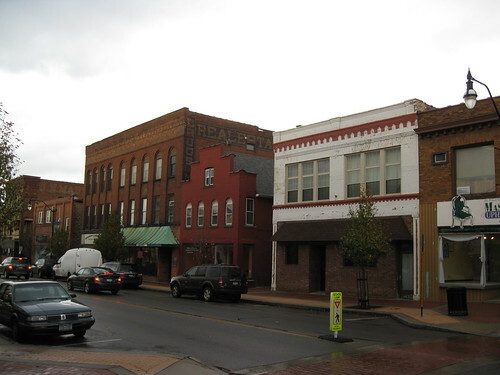 Lancaster is a mid-size town in New York's Erie County, located just 14 miles east of downtown Buffalo. It's considered an outer-ring suburb of Buffalo, meaning that while it doesn't share a direct border, it's still a part of the larger metro area. Lancaster is a bustling suburb that offers entertainment options, good dining and a variety of events throughout the year. Lancaster was originally part of the town of Clarence but became a separate town in 1833. English, German and Dutch settlers came to the area in the early 1800s and started establishing homes and farms. At least part of the town's success can be attributed to the five railroad lines that crossed through Lancaster – West Shore Railroads, Lackawanna, Lehigh Valley, Erie and New York Central. These railroads provided convenient connections between Lancaster and many neighboring communities, making it easily accessible and an attractive place to live. Lancaster is a popular home base for working professionals, retirees and families alike. Because it offers a good mix of amenities, there's truly something for everyone. The community has an extremely low crime rate, making it an exceptionally safe place to raise a family. In addition, because it's located within a short drive of Buffalo, amenities, jobs and entertainment are never far away. That said, there are a number of amenities within Lancaster as well, so you certainly don't have to leave town to get what you need. Grocery stores, coffee shops, fitness centers and restaurants are plentiful, and numerous medical centers and doctors make health care easily accessible. Lancaster has a small airport, the Buffalo-Lancaster Regional Airport, allowing residents to travel more easily. There are also several parks in the area, including Walden Pond Park, Como Lake Park and Westwood Park. You can enjoy picnic areas, walking trails, sports fields and children's playgrounds as well as a pool, a lake and a drag racing strip at many of the public parks. Lancaster Central School District serves the students of Lancaster as well as those from the communities of Cheektowaga, Elma and Depew. To further students' learning, Lancaster's local high school includes six academies, including the Health Centers Academy, the Academy of the Visual and Performing Arts and the Leadership Academy. Utilities: New York State Electric and Gas Co. is the primary energy provider in Lancaster, while the local utilities department manages water and sewer services. Garbage and Recycling: Waste Management Inc. facilitates the weekly collection of trash and recyclables for all single-family homes in Lancaster. Your collection day depends on your home's specific location. Transportation: The NFTA-Metro offers public transportation throughout Lancaster. Lancaster homes are only slightly more expensive than the national average, which is in line with the generally affordable housing market in Greater Buffalo. You'll find a variety of homes for sale throughout Lancaster, many of which have spacious yards. There are apartments, town homes, condos and single-family houses, so you should be able to find something to fit your needs and budget. Our lowest priced units in Lancaster, NY average $48.00 per month. 61 people have reserved units in Lancaster, NY in the past 30 days. There is 1 location within Lancaster, NY's city limits. There is 1 location in Lancaster, NY that offers AC and Heating features.